How to watch Texas Chainsaw Massacre 3D (2003) on Netflix India! Sorry, Texas Chainsaw Massacre 3D is not available on Indian Netflix, but you can unlock it right now in India and start watching! With a few simple steps you can change your Netflix region to a country like USA and start watching American Netflix, which includes Texas Chainsaw Massacre 3D. We'll keep checking Netflix India for Texas Chainsaw Massacre 3D, and this page will be updated with any changes. Texas Chainsaw Massacre 3D is not available in India BUT it can be unlocked and viewed! The sole survivor of a 1973 killing spree breaks her silence to tell the story of what really happened on that grisly, unforgettable day. Carefree teenagers stumble upon a house of horrors beyond imagining. A chainsaw was never meant for this. There is a way to watch Texas Chainsaw Massacre 3D in India, even though it isn't currently available on Netflix locally. What you need is a system that lets you change your Netflix country. 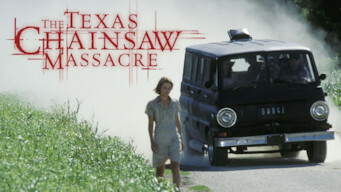 With a few simple steps you can be watching Texas Chainsaw Massacre 3D and thousands of other titles! Watch "Texas Chainsaw Massacre 3D"